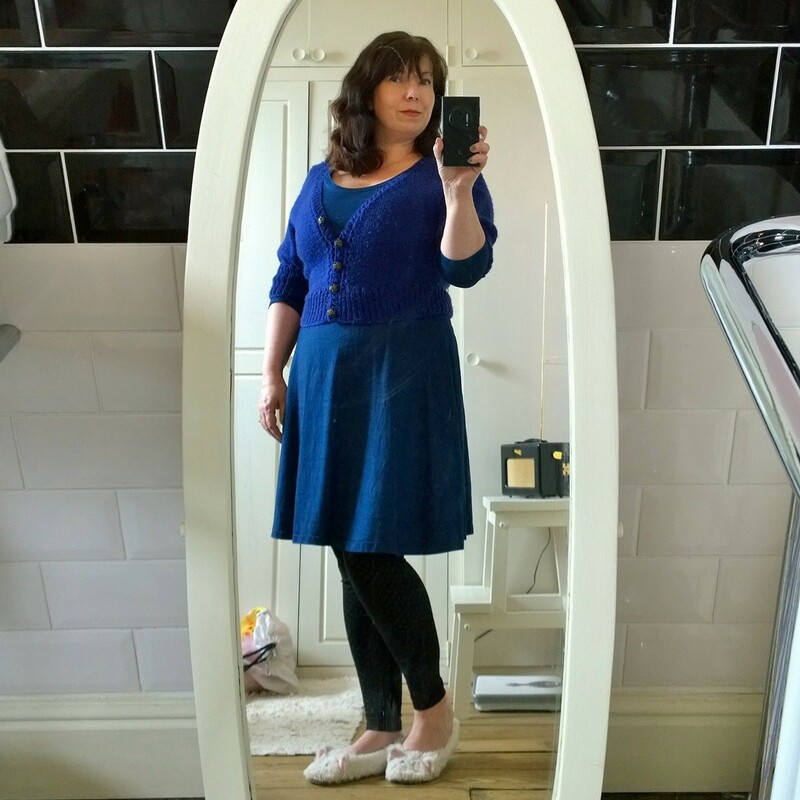 I should wear this cardigan more often, the cable ribbing is lovely! 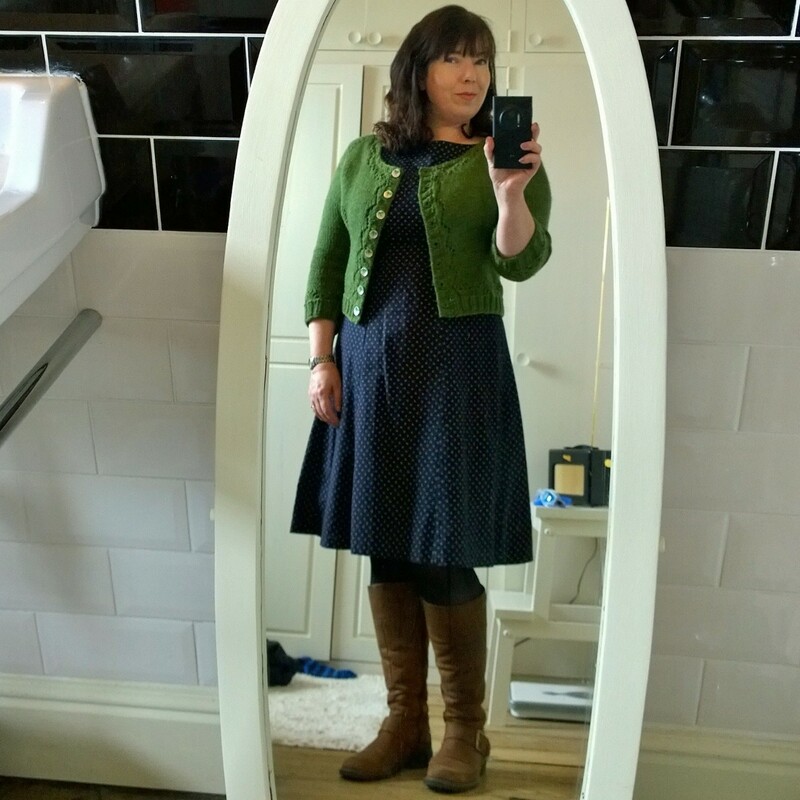 My old reliable navy By Hand London Anna dress with green Miette cardigan. I love this dress, it’s perfect for throwing on when I really can’t decide what to wear. It looks like white polka dots but they are actually little daisies. I have a bit of a thing about navy and green, I’ve been searching for some navy and green stripy knit fabric for ages without success. I know it must exist somewhere! I really need to make another one of these, it’s a lovely pattern and fits my frame really well. 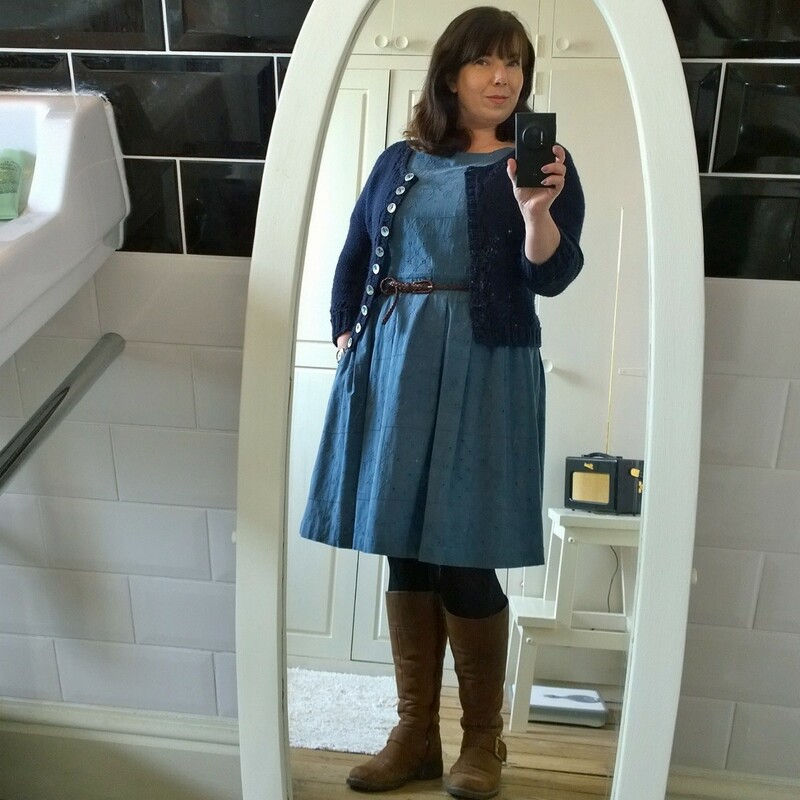 I actually have some Chambray to make a dress version but it keeps getting bumped down the list. A horrible cold and wet Monday morning necessitated woolly tights and layers. 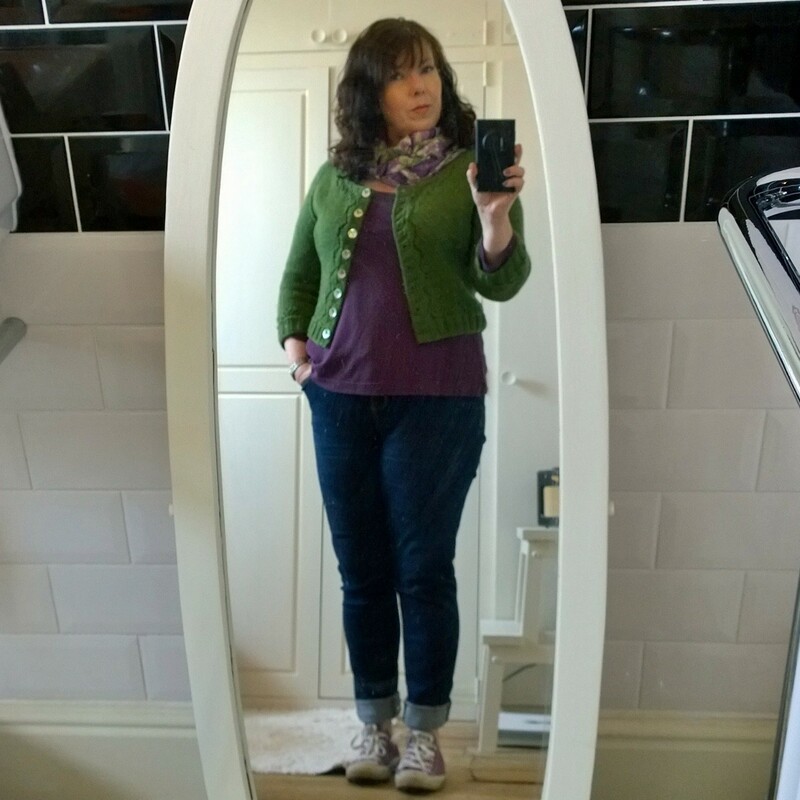 I love my purple Miette, it’s a quite expensive silk and merino blend yarn but it holds the lace detail well and doesn’t ‘bobble’ like my wool ones. 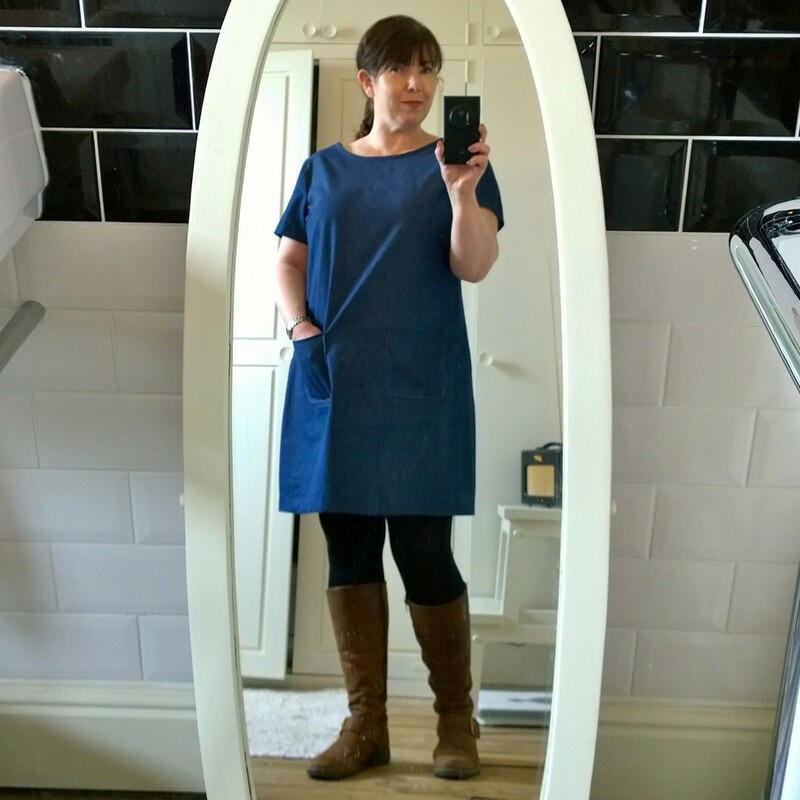 I finally got around to making this denim shift a couple of weeks ago and I love it! 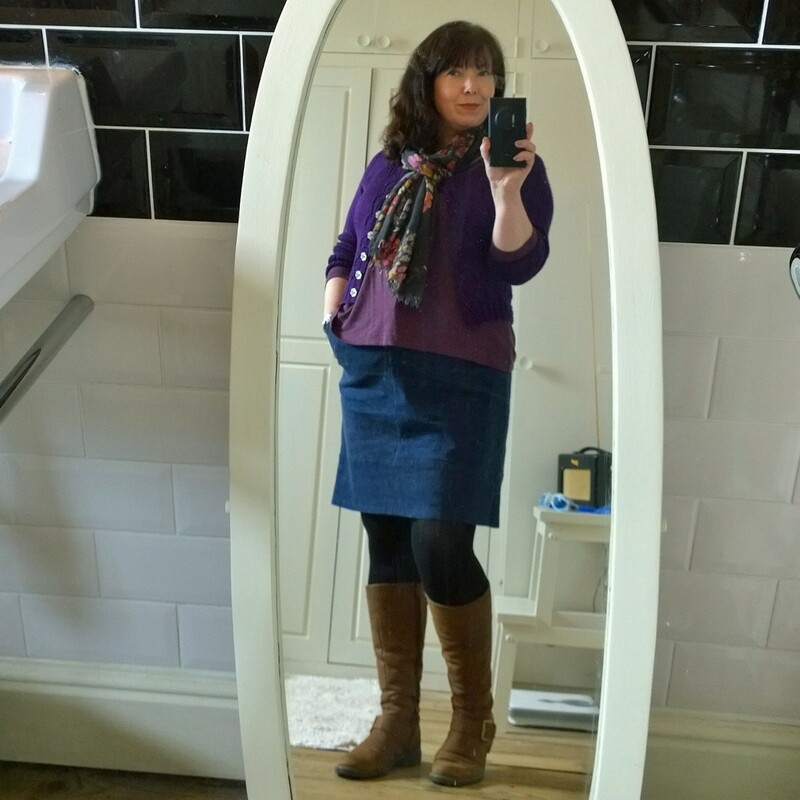 At work so lot’s of layers as I really had no idea what the weather was going to do! Another old faithful dress. I put my boots on again but the weather really warmed up at lunchtime! 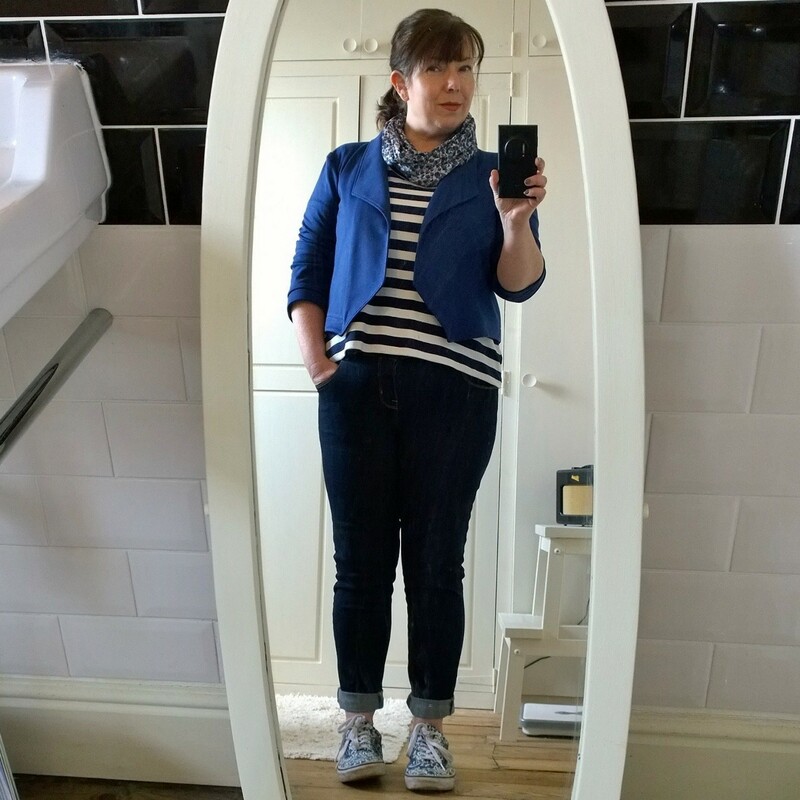 The blue thing is getting really silly, I actually wore it every day this week and that was after promising I would try to be more colourful! I wore my boots for four days and it’s the latter part of May! The boots are now boxed up and ready to go into the loft, if it turns chilly again I’ll just have to put up with chilly goose pimpled legs! I seem to be obsessed with the weather, all my Instagram posts seem to include a brief weather report. I think it comes from working outside! Even though I said I wouldn’t, I might actually try and end the month with no repeats. 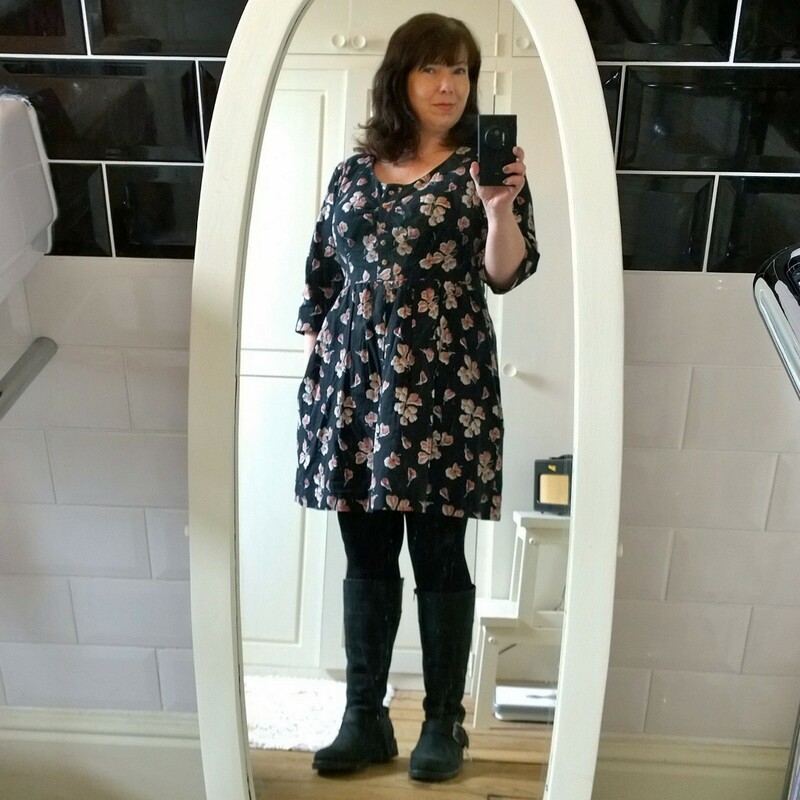 I haven’t really worn any of my summer clothes so if the weather warms up I should be able to get through to the end of the month without any duplicity. How is everybody else getting along now we are into the final week? 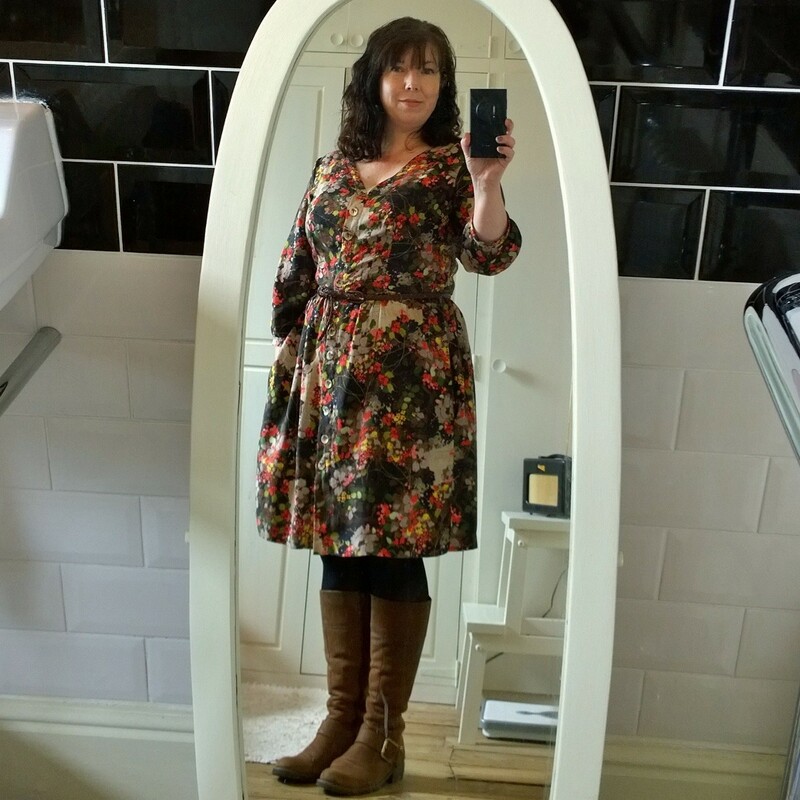 This is my favourite dress but the one I had most problems with. The fit was dreadful and I ended up completely redrafting the bodice and sleeves. 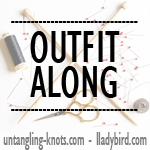 The only original part of the pattern is the skirt and button band! This is an old tee and starting to look worse for wear but I love the fabric. 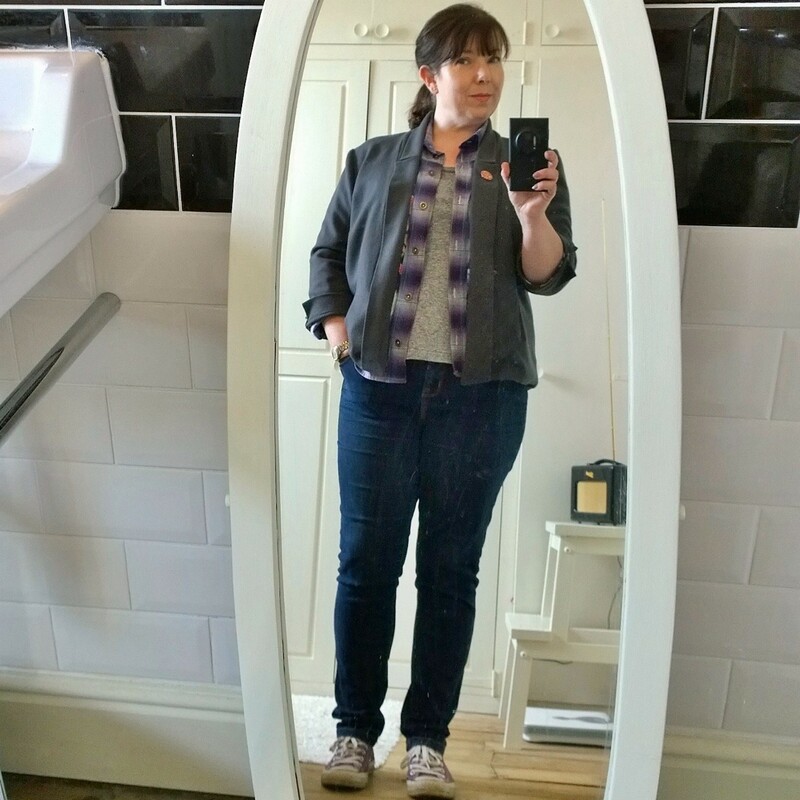 The Victoria blazer didn’t get a lot of wear as it looked really ‘boxy’ on me. A couple of months ago I got around to unpicking the lining to fix it. I took it in at the waist and added fisheye darts to the front and back which has made a lot of difference. I’m glad it’s wearable now as the jacket is wool and lined with silk and I felt a bit guilty at wasting such nice fabric. I will get around to blogging this Morris eventually. 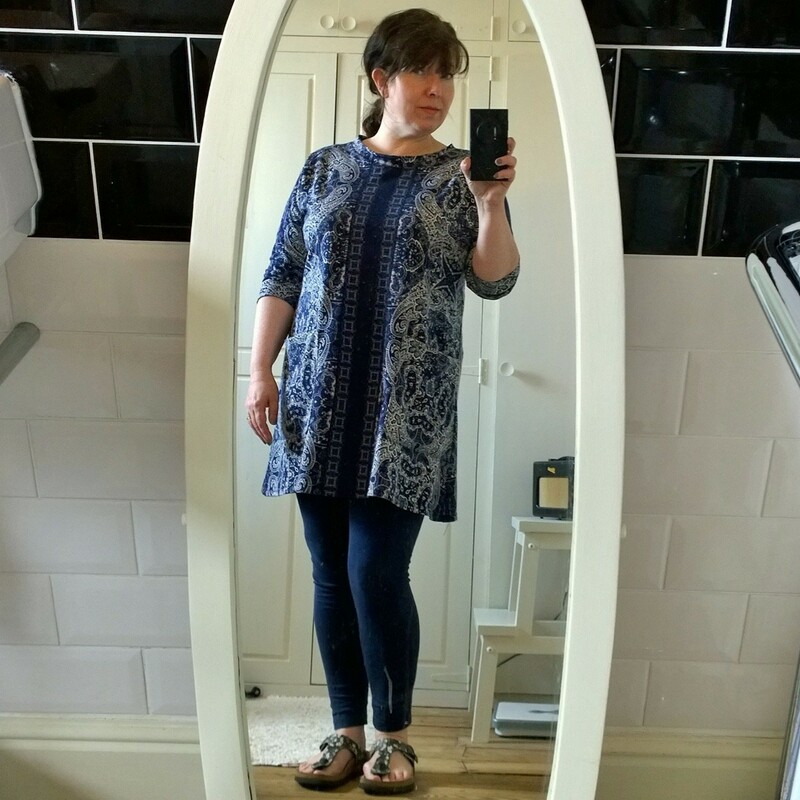 It’s a blue Ponte and this was the first time I wore it. It’s perfect for work, a bit smarter than a cardigan but just as warm. 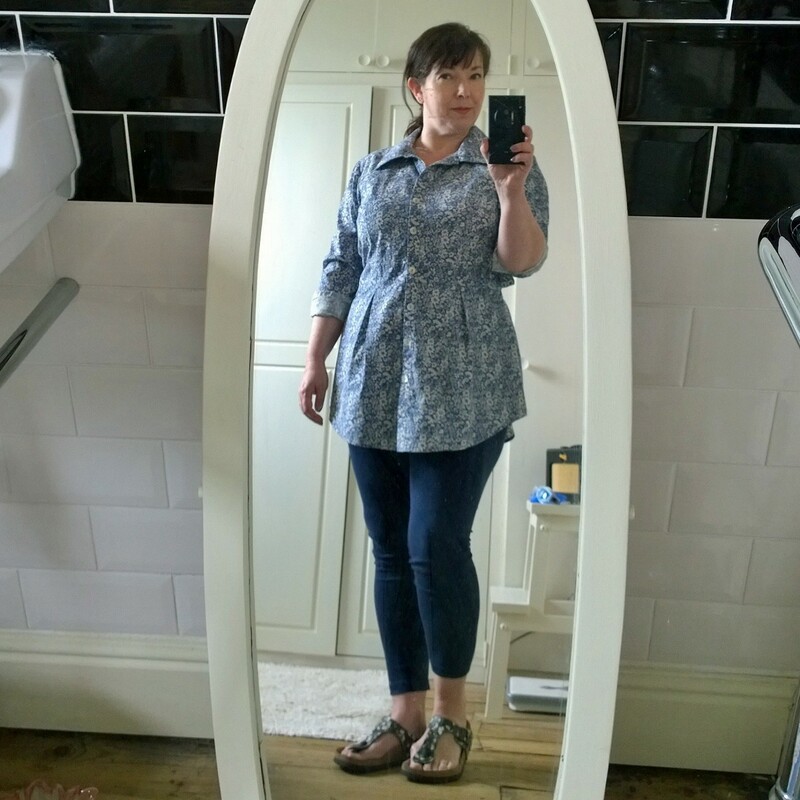 This was my second wearable muslin of the Sureau and to be honest it’s had more wear than the final one! It definitely needs to be worn with tights though as I got carried away when hemming and shortened it a bit too much. Glad I got chance to wear it before the weather gets warmer! I wear blue a lot! I didn’t realise how much until people started commenting on it on Instagram. 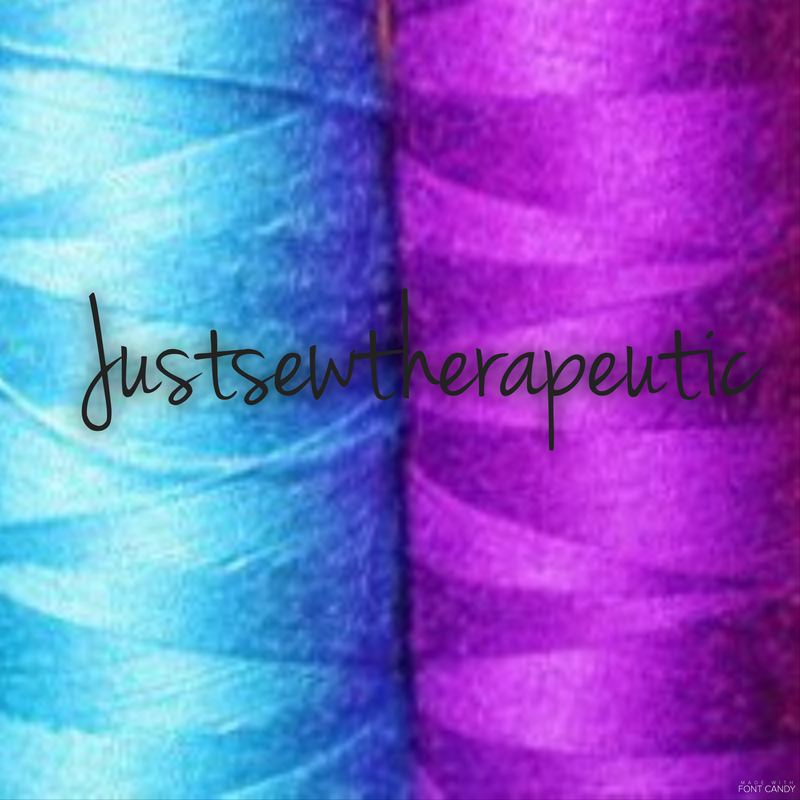 I’ve worked out that about half of my wardrobe is blue along with a good percentage of my fabric stash. Wearing the Morris for work was a good idea. 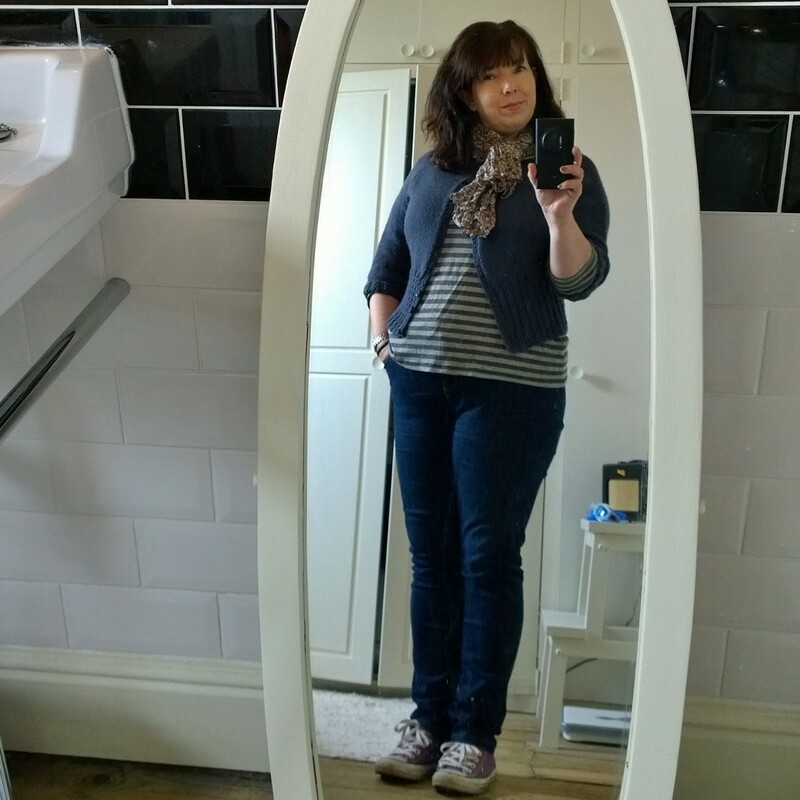 Gardening usually means wearing practical clothes and my usual choice is jeans with t-shirt/cardigan/jumper/shirt. It was nice to look a little smarter and as we do get visitors I really should make the effort to look a little bit more professional. 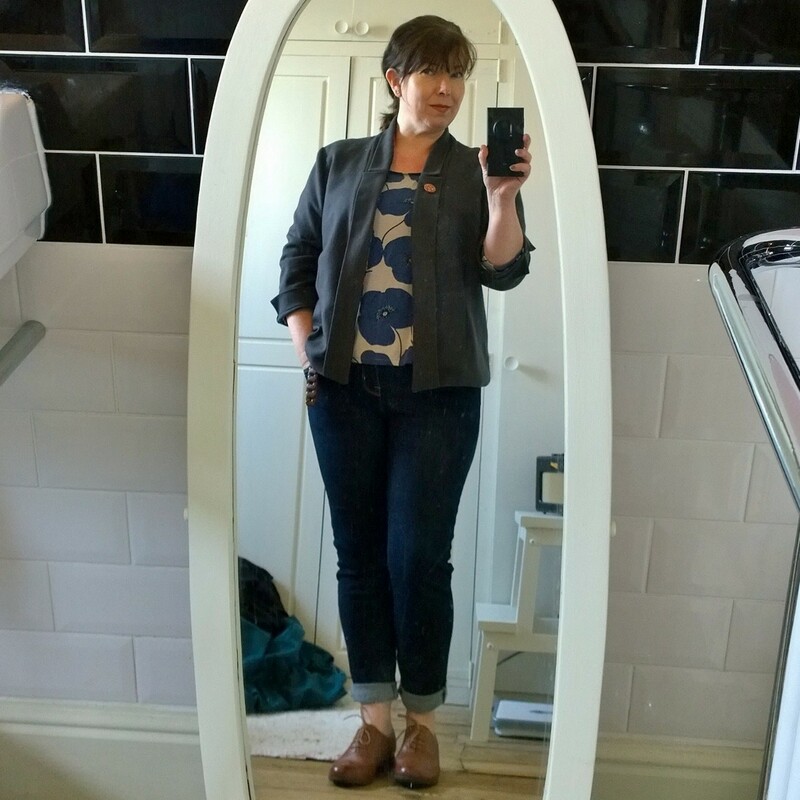 I can’t not wear jeans but if I can try and smarten up the top half that would make a difference. 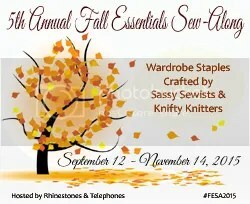 If I’m honest I actually prefer cooler weather wear (autumn and spring, not winter!) I feel more comfortable in tights and boots. I’m just not keen exposing so much bare flesh when the weather warms up! We are already halfway through, how are you getting on?